The remote and sleepy capital of Kayah, Myanmar’s smallest and one of its least visited states but now it’s changing. 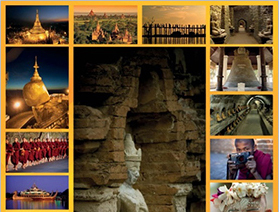 The government of Myanmar is promoting community based tourism in the area. Travel to this part of Myanmar and you will discover beautiful Kayah hill scenery and a large number of distinctive tribal cultures, the most internationally famous of which are the Kayan, whose ‘long-necked’ womenfolk have a tradition of sporting coils around their necks. Sometimes called Padaung.